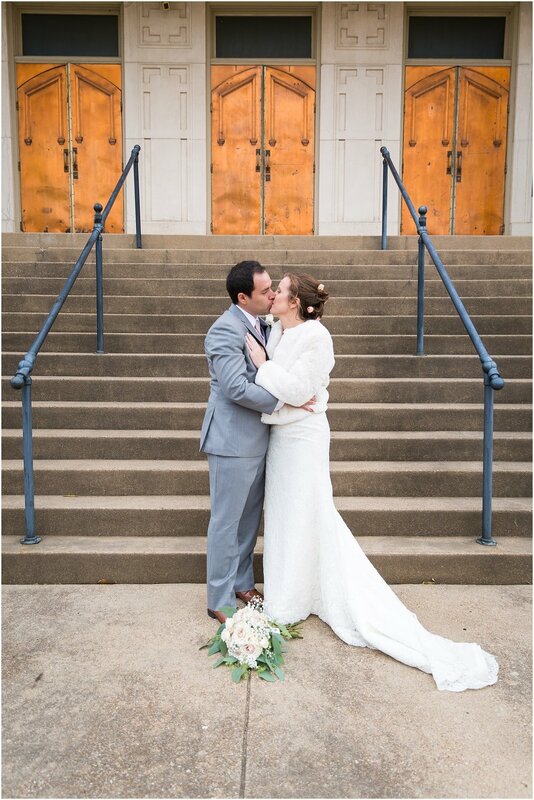 In late June we joined Dustin & Virginia for their wedding day, and we’ve been so excited to share their wedding story on the blog! 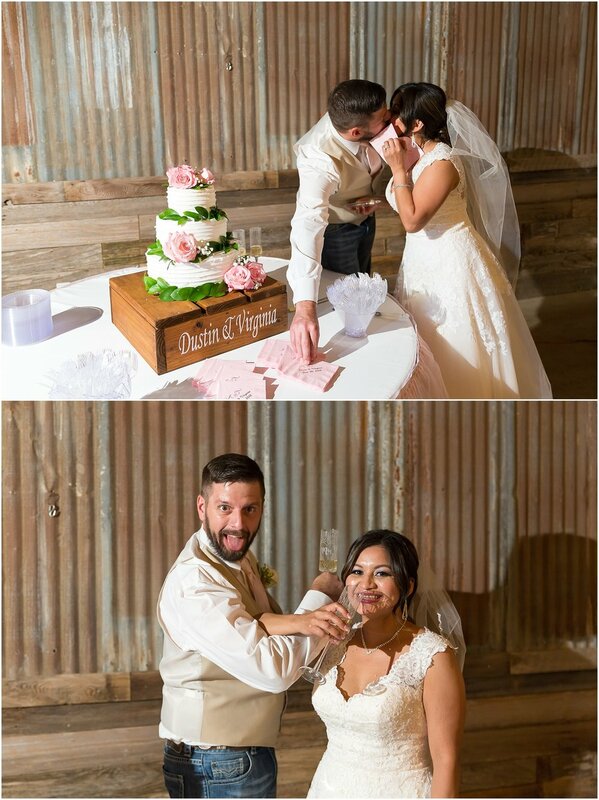 Dustin and Virginia had their outdoor rustic wedding at Rustic Acres Event Center in Belton, Tx, and it was the perfect venue for their wedding. 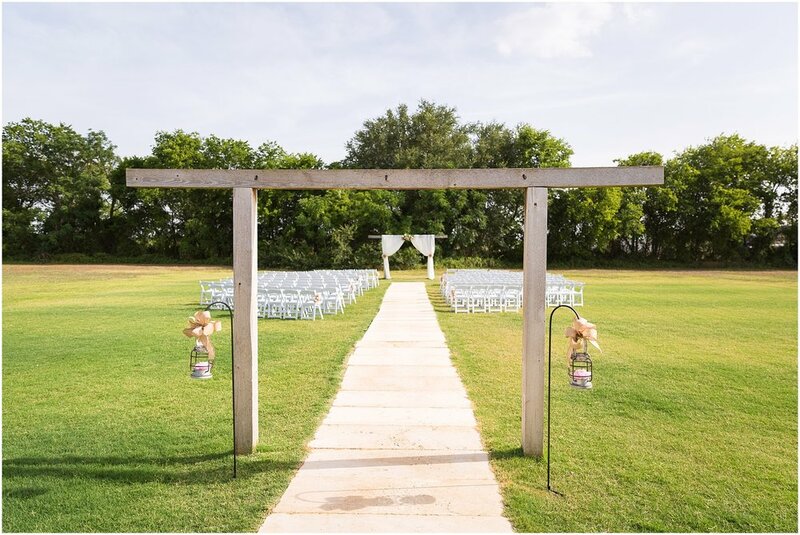 The ceremony site had lush green grass, even in the Texas summer! 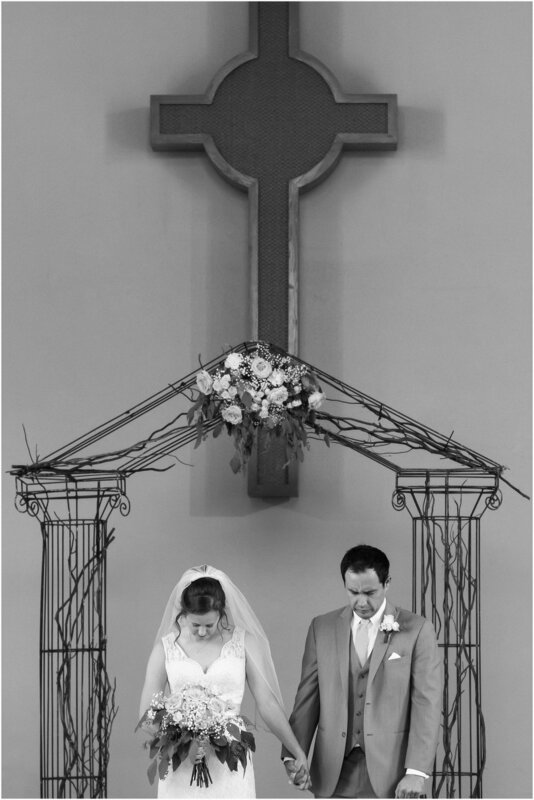 The backdrop of the green trees behind the altar framed the ceremony beautifully. And the open fields with hay bales made for some romantic sunset portraits while the reception was rocking along inside the red barn. 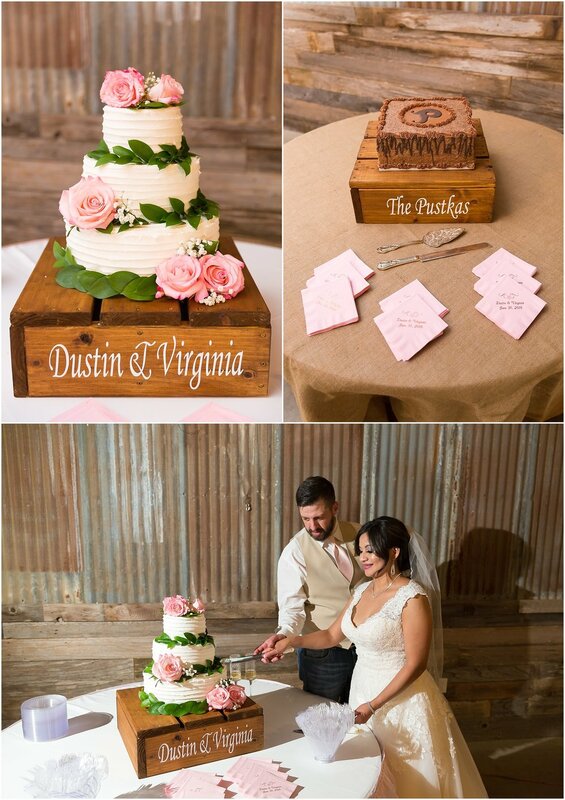 Virginia chose a pink, tan and cream color palette, an ideal choice for a rustic Texas wedding in summer! 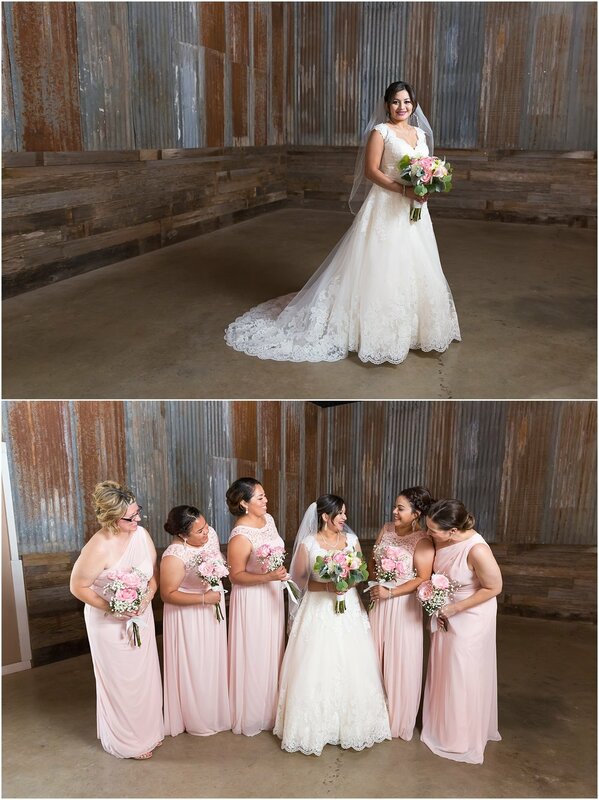 The bridesmaids wore soft pink dresses, while the groomsmen wore a Texas tuxedo - jeans, boots, a white button up shirt, and vest and tie. 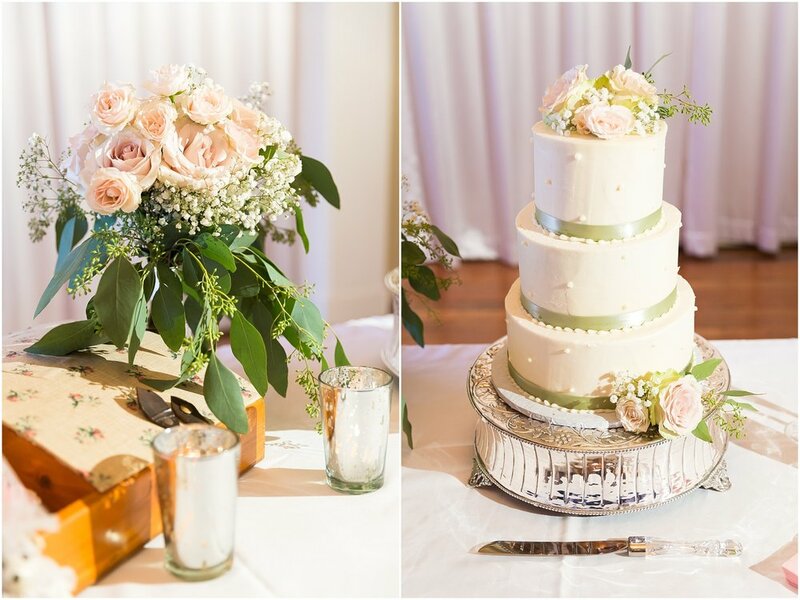 The tan, pink and cream color palette was carried throughout the wedding day in the large pink rose bouquets carried by the bridal party, the pink roses that adorned the buttercream wedding cake, and the burlap and wood used throughout the decor. 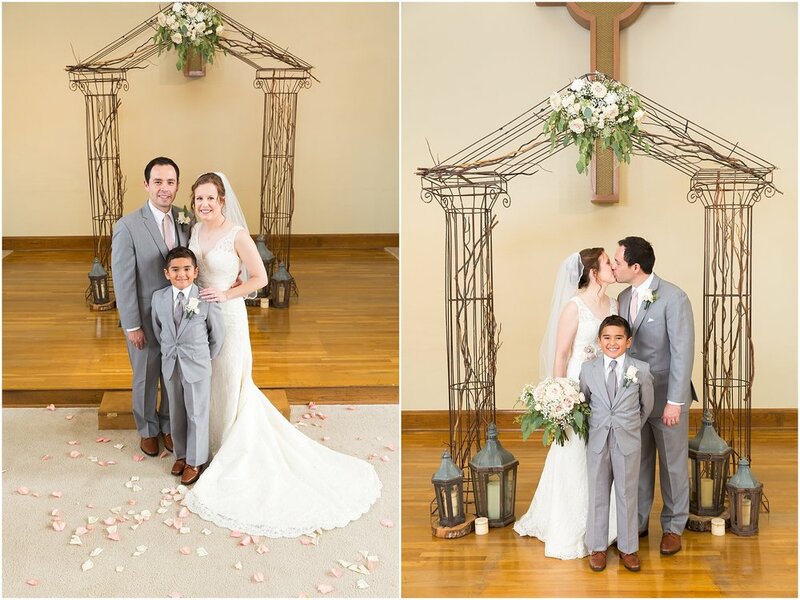 Dustin & Virginia’s wedding was simple, romantic, and full of so many sweet moments. Their daughter was enamored with Virginia’s wedding dress, and kept wanting to touch her skirt. In fact, kids were a big part of the day! Nieces and nephews filled out the bridal party, and little cousins ran around the dance floor all evening. One of the sweetest things to watch during most of the reception was all the dads, grandpas, and uncles dancing with the little girls, teaching them how to two-step and twirl. 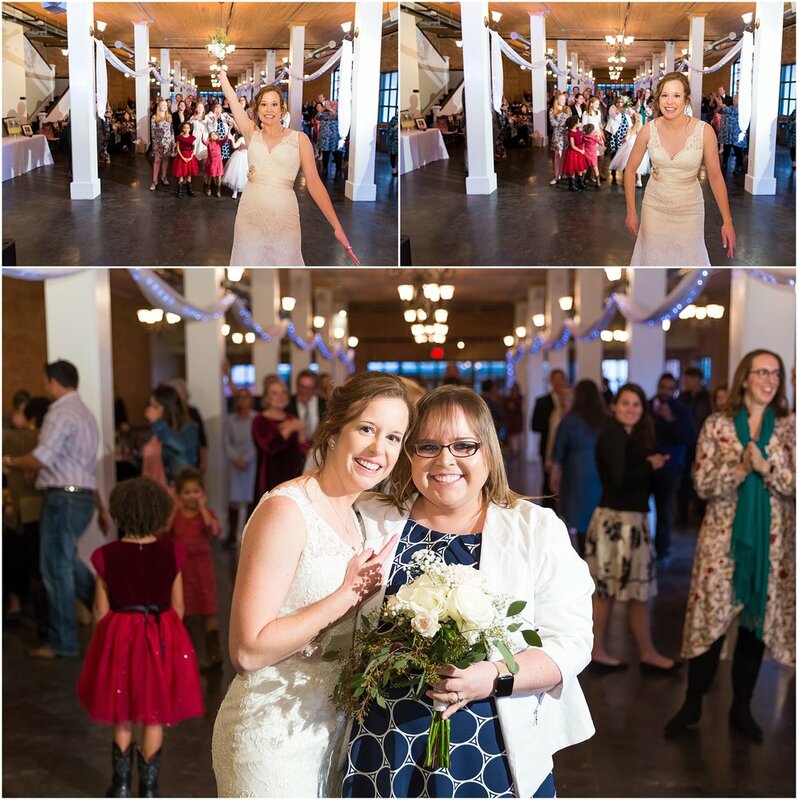 We say it every wedding, but it still holds true, our Sweethearts always have the most amazing friends and family. 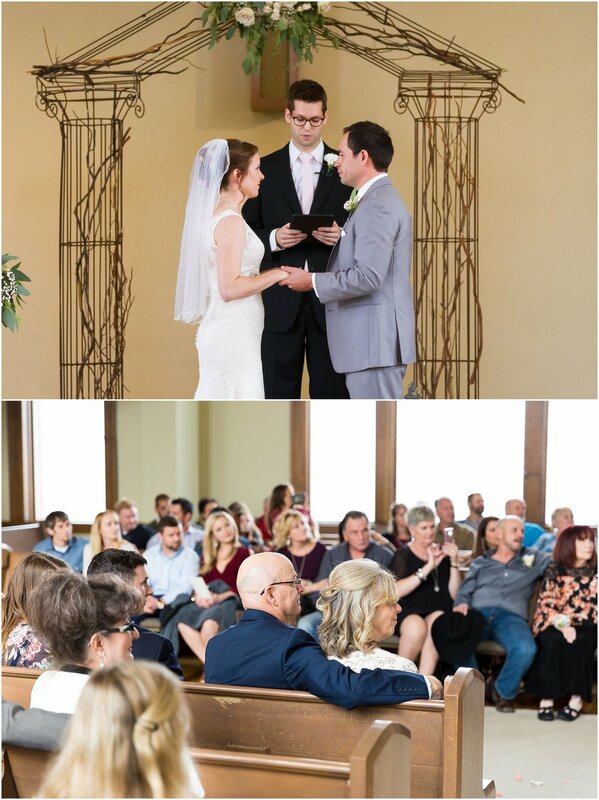 Seeing how everyone gathers to help our Sweethearts have the wedding of their dreams, how they celebrate and cheer on the love shared between the couple...it’s always so heartwarming to see. A marriage is two people, but it’s also their support system. And seeing such a great support system surround Dustin & Virginia gives us faith in the strength of their marriage. 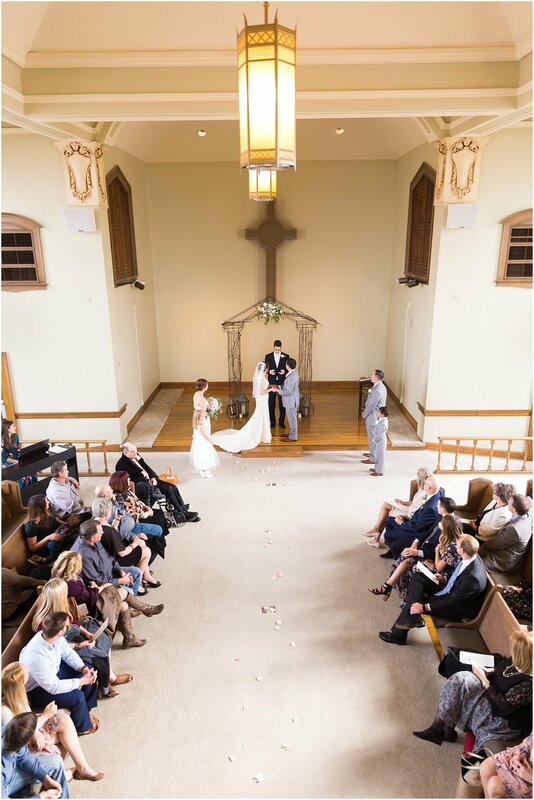 We were so happy and honored you chose us to tell your wedding story! 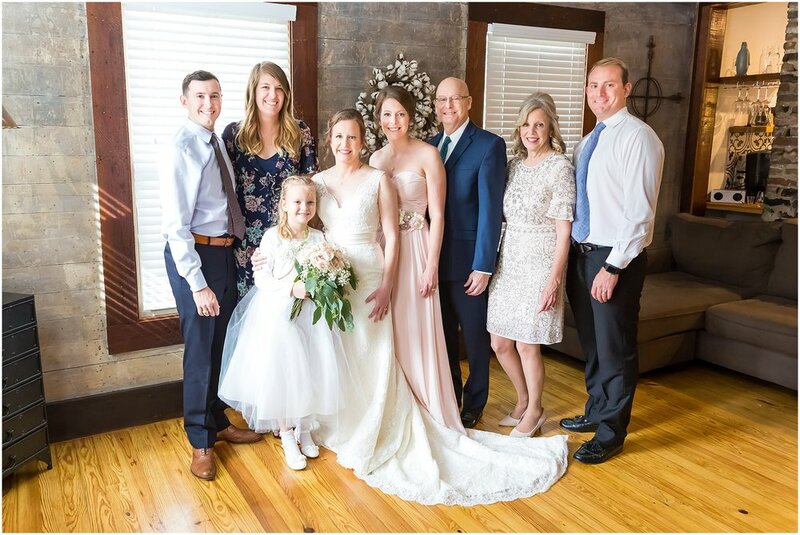 We love your family and feel like we're the official Pustka Family Wedding Photographer now! 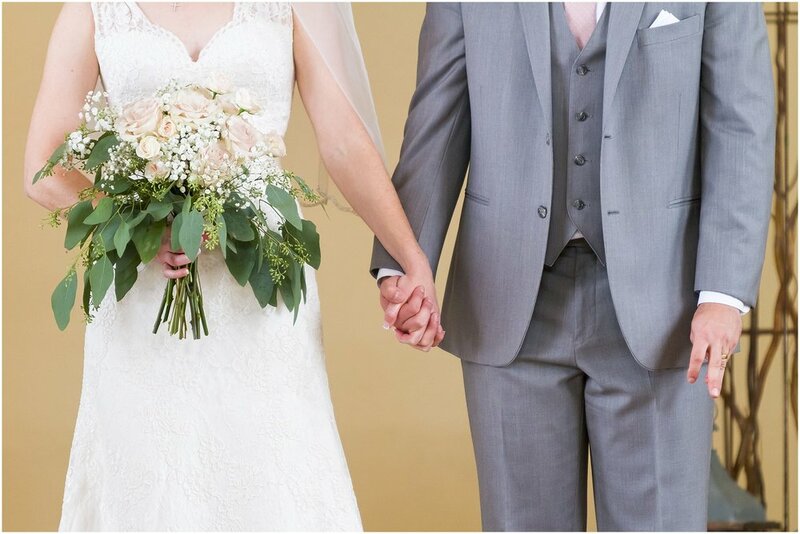 ;) We hope the love you felt not only for one another but by all your loved ones (present or not) on your wedding day will be a cherished memory you carry for years to come. Garrett & Kelli have a love story that’s made for 2018. They were matched on a dating site but didn’t message each other right away. One day while Kelli was at the gym, she almost literally ran into a guy while walking through the gym. She and the guy gave each other side-eye, and then continued on their way. A few moments later Kelli’s phone buzzed with a message from the guy she had been matched with, asking if she was at the gym. At first, Kelli worried he was following her in real life. But then she quickly realized the guy she almost ran into was the same guy from the site. Turns out they frequented the same gym, and so Garrett came back over and they chatted. Conversations led to dates, which led to a relationship, which led to us meeting them in College Station for their fun engagement session. It’s so fun to watch our Sweetheart couples’ personalities come out during the engagement sessions. One of the things we like to tell them to do is to whisper in each other’s ear. Some couples get super romantic and sweet, and then others try to make each other laugh. Garrett & Kelli were definitely the latter, whispering funny words into each other’s ears, trying to get the other one to crack up. They are definitely a couple who laughs together often, so it’s no surprise their engagement session was full of laughter...especially when we were all trying to get their two sweet puppies to look our way. The only thing not funny was how hot it was outside this evening. But a little heat was worth that pretty Texas sunset sky. Luckily it won’t be hot for their late October wedding. Their beautiful Catholic ceremony and Gatsby-themed warehouse reception are going to be so fun. And with these two, we know we’re going to all have a fun and laughter-filled day! It was so fun to meet your sweet Zeus and Zelda, and to just hang out with you again. Thanks for braving the heat and the insects with us for this session. We had a blast and can't wait to see ya'll again in October! And it won't be summer so YAY!